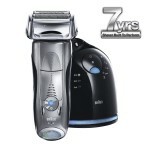 Below are the top 5 best electric razors of 2014 that stood out after a detailed research involving multiple models. Having sensitive skin, I payed extra attention to certain aspects such as skin irritation level. 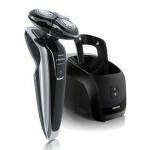 Electric razors can cause irritation, especially when shaving dry. But recent updated technology makes this issue a thing of the past. Plus, many of the razors can be used on wet skin as well, either with shaving cream or gel. 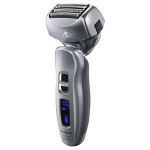 This gives you the possibility of shaving very quickly and comfortably during the weekdays\’ mornings and having longer, more ritual-like shaves in the weekend, when time is not pressuring you. 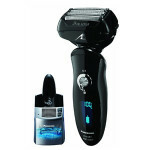 A big pro for electric razors is the ease of use, compared to other types of razors. Using manual or straight razors demands some practice on your part in order to master. 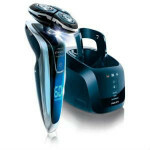 Electric razors, on the other hand, are so easy to use, that there\’s absolutely no chance for you to get it wrong the first time you use one of them. Of course there are differences between them, but, generally speaking, they\’re much, much easier and more comfortable to use than any other type of razor.